Up until the mid 2000s, it was almost impossible to find a pair of barefoot running shoes. Notice the words “ultra-lightweight”, “light” and “durable”? I’ve always jogged and race walked with more cushioned running shoes, which were on the heavy end of the running shoe spectrum. 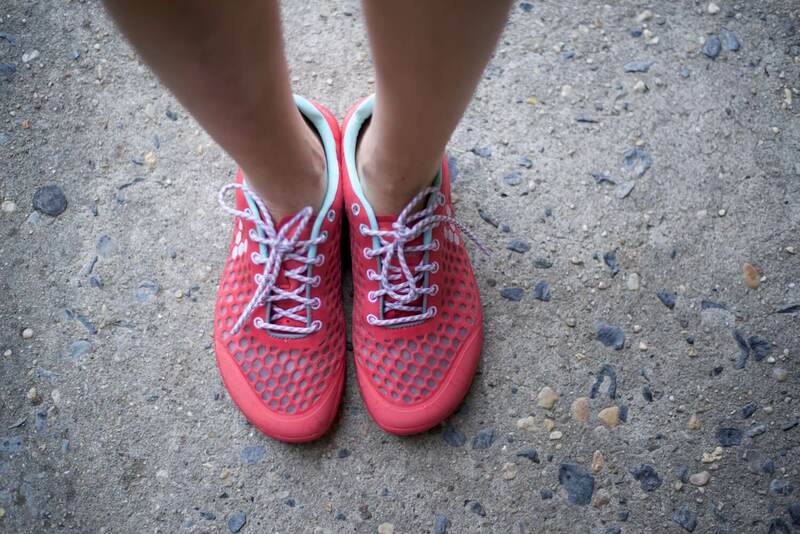 So when I tried a pair of Vivobarefoot Stealth II running shoes, although the difference was only a few ounces, I felt like a huge load was shed off of my feet. 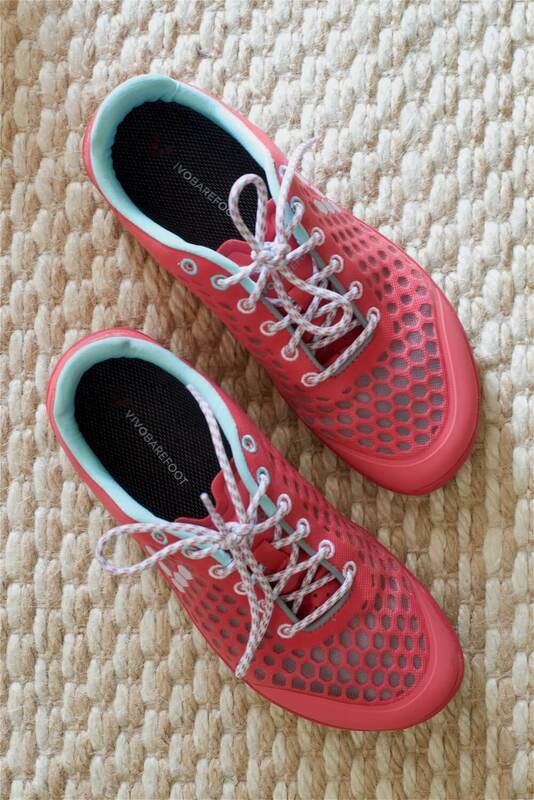 I found it easy to adjust from my heavier, cushioned running shoes to these barefoot shoes. I think the fact that I’m usually barefoot, working from home, has given me an advantage over those who wear shoes all day at the workplace. The Vivobarefoot Stealth II shoes run a little smaller than my old pair of New Balance running shoes. I chose size 38 (Euro size) which is US size 7.5. My usual size is US size 7 Wide. I suggest going for half a size bigger than your usual shoe size. So, if you are size 9, you would go for 9.5, Euro size 40. Note: I personally prefer shoes that aren’t too tight. I like to wear Vivobarefoot Stealth IIs with a pair of thin no-show socks. You can wear a liner socks, or even go without socks. I needed a few days to adjust and break into the shoes. When I started wearing the shoes, the top of the shoes between the lace and the toe creased and bent as I walked. These creases dug into the top of my feet making them really uncomfortable. After two days of wearing them at home, the shoes molded to my feet and immediately I felt comfortable and never had that issue again. Note: So if you gave up on a pair of Vivobarefoot Stealth II shoes because they hurt at first, try them on again. Once you break into them, they are the most comfortable shoes you’ll ever run or walk in. The bright color is an advantage and a disadvantage as well. I have to pack another pair of walking shoes when traveling because the coral color does not match with many outfits especially when I wear yellows or greens. Prior to the age of modern running shoes, our ancestors ran barefoot. Are barefoot-style shoes better for us? An article on smithsonian.com pretty much sums up what I believe. Decades of athletic footwear development have led to bigger, more protective shoes— which have only weakened our feet and made us unable to run the way we are naturally meant to. What do you think? 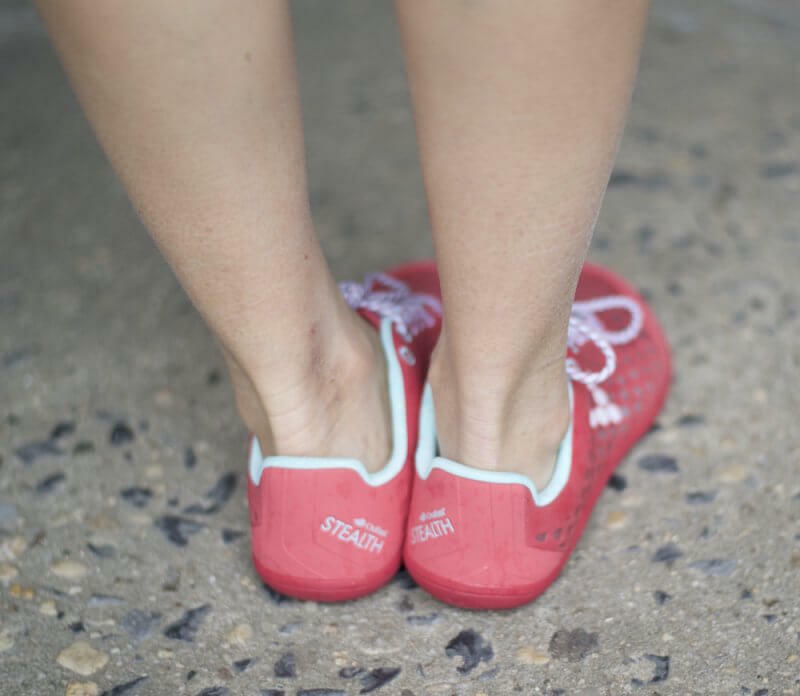 Are you a fan of barefoot running shoes? 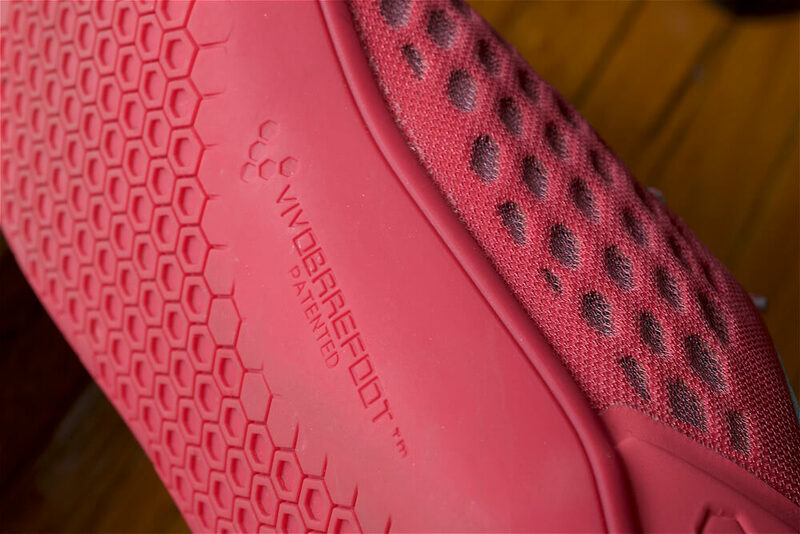 The Vivobarefoot Stealth 2 shoes were provided for this review. As always, this Vivobarefoot shoe review contains only the honest views and opinions of the reviewer. Some links found in this review are affiliate links, meaning that we get commission if you decide to make a purchase, at no additional cost to you. This helps to fund the site. « Arc’teryx Fortrez Hoody Review: The Ultimate Adventure Travel Fleece? Helpful review thanks. How is the grip on wet paving? I’m in the UK, so that’s kind of essential. I have Vivobarefoot Trail fg for running in the park but the grip really isn’t secure enough for road and paving after rain. I also have two pairs of Altras which I like but feel there is still some un-necessary arch support, something Vivobarefoot fortunately avoid. Hi Matt! Glad you found the review helpful. For wet pavement, these shoes aren’t the best – the sole’s don’t have particularly deep lugs or the best traction. I think it really depends on the pavement. If it’s something like asphalt, you shouldn’t have any issues, since asphalt or concrete aren’t smooth. I just got a pair of these shoes, and I like them, except for the rubber part above the toes (toe protectors?). 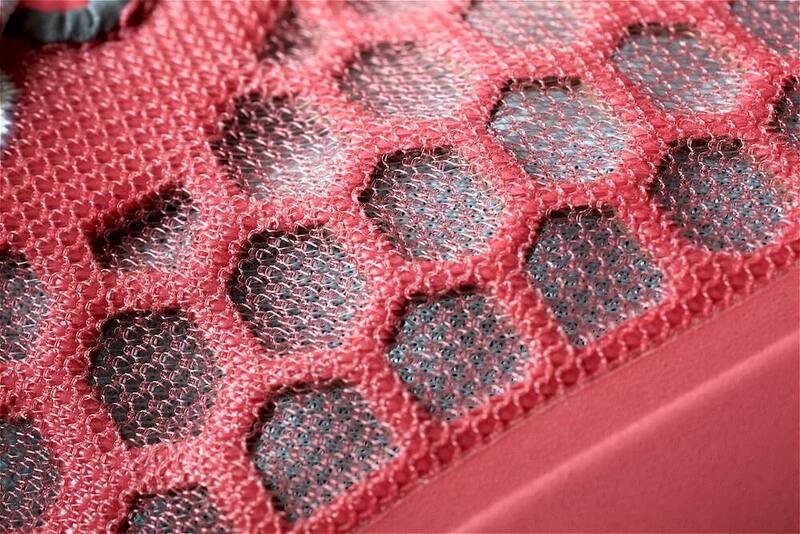 The idea is a good one, but i find them a bit low, perhaps the toe box is a bit low… I wonder if as the shoes break in the toe box will give, including this area.